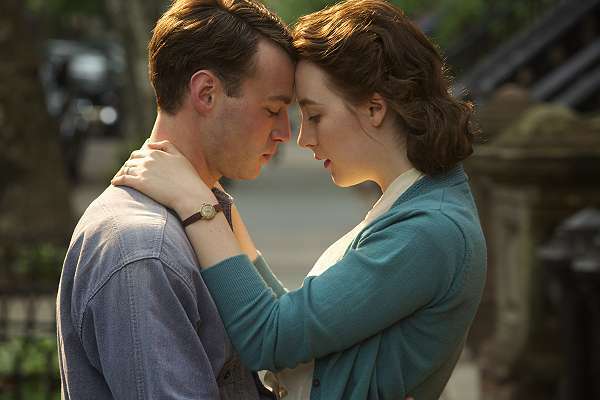 There are lots of great things to say about this faithfully rendered filmic version of Colm Toibin's book Brooklyn . 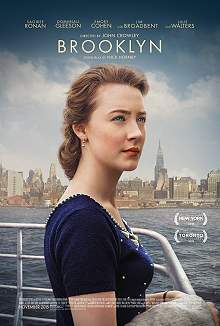 The story of a young Irish girl, Eilis Lacey, leaving Ireland in 1952 to start a new life in Brooklyn, Brooklyn vividly brings to life the time and place, both in small town Ireland and big new city America. This young girl's journey from heartbreak and homesickness to relishing the opportunities offered by her new life stands in for the thousands of people who were forced from their homelands in the same way looking for a better life. It speaks to a lot of people's family history in an inspiring and personal way. The beautiful Saoirse Ronan plays Eilis Lacey with verve and humour that had the people in the audience when I watched it living every moment of her journey. They audibly gasped and clapped at the right moments as they hoped for the best outcome. Her love interest in Brooklyn played by Emory Cohen plays it like a happy James Dean if that is possible - he is lovable and his family of Italian brothers and parents have us laughing when Eilis admits that she had been taking spaghetti eating lessons in preparation for the visit to her beau's family. It is these delightful as experienced moments which make this film so enjoyable and human scale. It is not surprising that the film is so beautifully crafted. Firstly there is an excellent supporting cast including Jim Broadbent as Father Flood, Julie Walters as Madge Kehoe and Domhnall Gleeson as Jim Farrell as Eilis's love interest back in Ireland playing a thoroughly convincing small town lad with many parental expectations on his shoulders. Secondly the script is written by English novelist, essayist, lyricist, and screenwriter Nick Hornby who wrote that delightful thing About a Boy. Brooklyn has the same delightful charm that made About a Boy a run-away hit. The director John Crowley works in theatre and film and television. You may have caught his work on the True Detective series. It is clear he has a sure understanding of the need to let the story tell itself in a calm and positive way. Brooklyn has been nominated for three Academy Awards: Best Picture, Best Actress and Best Adapted Screenplay and for a film made outside the American industry this gives it a marked resemblance and the same kind of phenomenal success potential of The King's Speech. I think it is better. 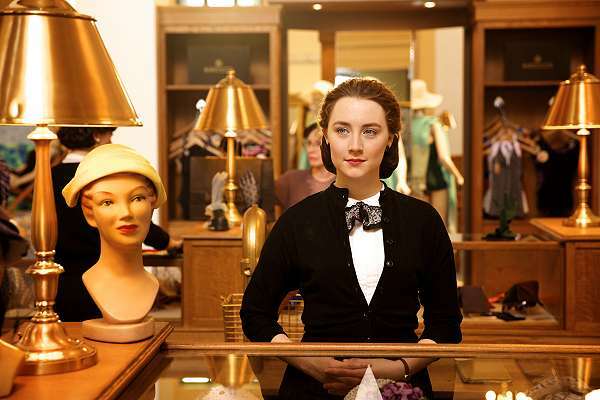 Brooklyn is one of the more family friendly stories written by Colm Toibin and as such this film has all the ingredients of being a runaway hit. It was made for $10 million and has already returned $40 million. I know money isn't everything but when a relatively small film returns this much you can bet it is because it is a very nice and enjoyable film indeed.